In order for today’s athlete to have any kind of commercial success and visibility, one must add a strong social media presence to their arsenal. Today, most athletes have just that: a mix of various social media platforms where they are able to engage with their fans directly and allow them to have an inside look into both their professional and personal lives. 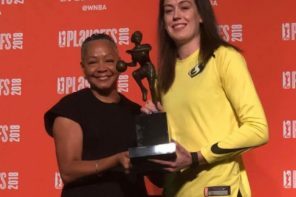 The ladies of the WNBA are no stranger to this, as they are one of the more unique group of athletes who truly use social to their advantage. One of the league’s brightest young stars, Liberty guard Bria Hartley, utilizes platforms like Instagram to give fans a glimpse into her life as a guard and mother in both the U.S. and overseas. Another person who uses social to expand the women’s game is Marcus Crenshaw, founder of the popular Instagram page, @SheHoopsNetwork. Marcus saw the value and promise behind women’s basketball, and focused on the most important aspect: the talent. On a daily basis, She Hoops Network highlights lady hoopers of all skill levels around the world by curating some of the most exciting, impressive, and entertaining viral videos across the internet. People like Marcus are out to assist athletes like Bria to dispel that myth that there is little interest in women’s basketball. In just under a year, She Hoops Network has amassed over 130,000 Instagram followers, and he’s set to take things to the next level with his new marketing company. 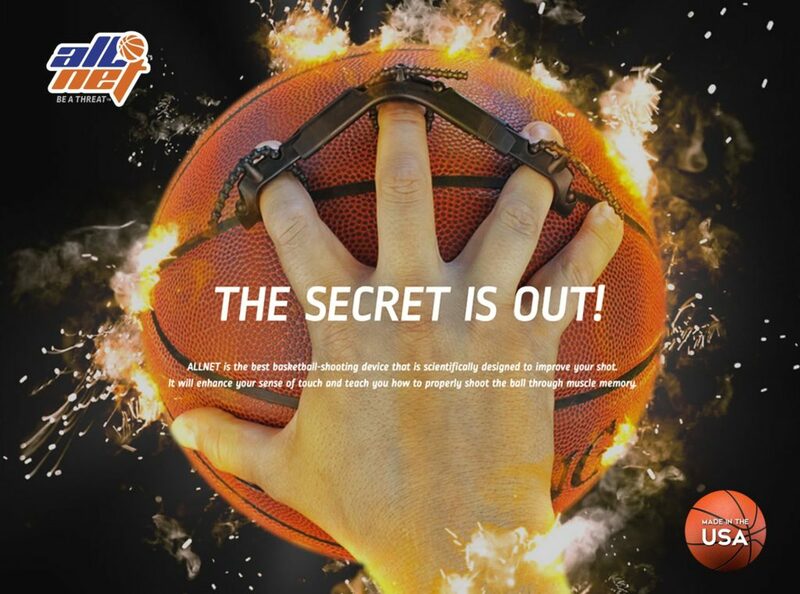 Tell us a little bit about why you chose to work with All Net Shooter and how this endorsement deal came together. MC: I ran into the company and felt they had a good product that helps with shooting. I had a long talk with the owner/inventor of the all net shooter and he was so passionate about helping players become better shooters. So, I felt Bria would be a perfect fit to get their product out to the fans on she hoops network. I called Bria instantly and ask her thoughts on the product. Bria gave it the thumbs up because it does help you spread your fingers and release the ball properly on your shot. BH: I was intrigued by the product. It will help my shooting percentage and my overall game. I was excited to try the product and show my followers how it works. Anytime I could work with a product that can help me produce on the court, I’m going to take the opportunity. As far as how the deal came together, Marcus came to me with the idea. We’ve spoken before about focusing on getting me some deals off the court. After learning of some of the things he accomplished with other WNBA players and the success of She Hoops Network, I decided to work with him. Marcus, when did you take an interest in working with WNBA stars and why? MC: I took interest in working with WNBA players about 4 years ago. I become close friends with WNBA star Essence Carson when she was on the New York Liberty. 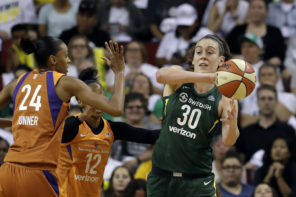 After getting to know her and through many conversations, I realized that WNBA players don’t get the proper marketing. I always understood marketing, but I couldn’t jump right into it at the time because I was still playing professional basketball overseas. I decided that once I retired, I would take on the challenge of bringing more exposure to women’s basketball. I became a fan of the women’s game in high school because my girlfriend was a star player and was heavily recruited by lots of major Division I programs. I was supportive of her throughout the process and was able to learn a lot. The summer after I retired, I went to an Atlanta Dream game, where I got to see guard Tiffany Hayes in action. I was so impressed by her talent, I immediately know that I wanted to work with her, and she ended up becoming the first professional athlete I signed and created a whole product line for. What other projects/endorsements have you worked on in the past? Anything in the works we should look forward to? MC: I have worked on a few projects in the past. 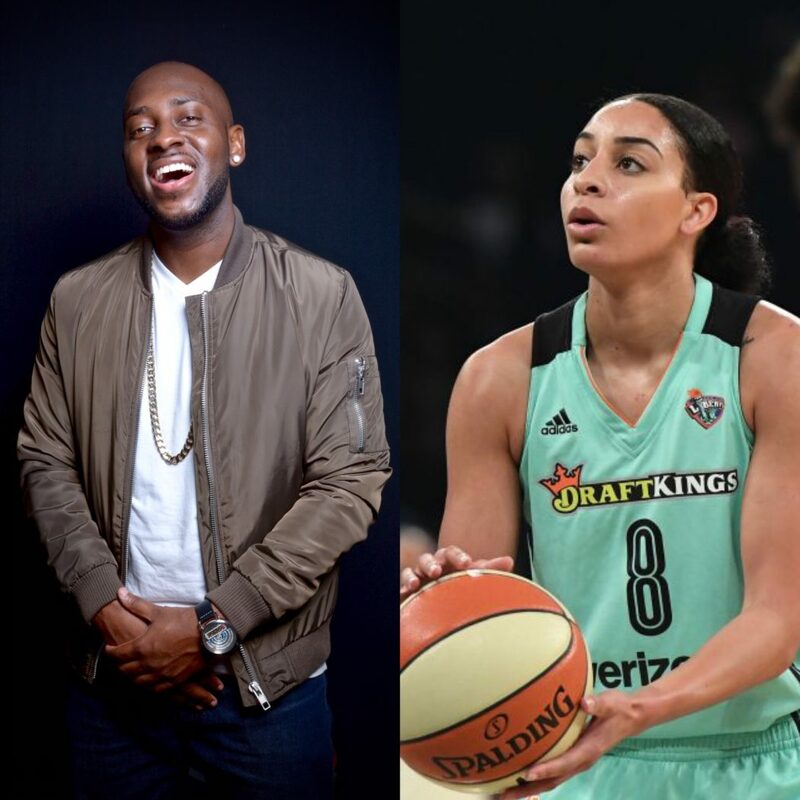 I started a company called Hoop Cred , which was a merchandise and marketing company where I worked with several WNBA stars on their personal brands. I had the pleasure of working with Tiffany Hayes, Tamera Young, Alex Bentley, Tiffany Bias, Maggie Lucas, Plenette Pierson, and Essence Carson to create their websites, logos, merchandise, videos and all kinds of promotions. More recently, I launched She Hoops Network, which quickly grew to the largest exposure outlet for women’s basketball and has gained over 130k followers on Instagram within the last 12 months. With She Hoops Network being a success, I want to get back in to individual player branding. I’m about to launch a new company, Crenshaw Global Sports Marketing, that will only specialize in women’s basketball. In addition to some of the methods used with Hoop Cred like website building, we will focus on increasing brand awareness through social media strategy and endorsement deals, similar to the deal we have for Bria Hartley. I also want to assist collegiate teams to increase their brand awareness through social media management. I don’t think most programs understand how important it is to have a strong presence on social media and how it can positively impact recruiting and game attendance. This new company will have a lot of moving parts, but it’s definitely going to be dope and will help continue to push the women’s basketball culture forward. What are some takeaways that you’ve come across in branding the female athlete? MC: I have learned so much about marketing women’s basketball as a whole. I learned that you must treat each individual player differently. You have to focus and on their strengths and really lock down on them. Tamera Young has done a great job of that through social media by establishing her individual brand and continuing to really push and expand her TY1 gear clothing line, which we started together about 3 years ago. She really gets it, and I’m extremely proud of her. By running She Hoops Network, the most important thing I’ve learned is that fans want entertainment. This is why I make sure we are the platform that provides the coolest and most entertaining videos of the game. Bria, what has it been like working with Marcus? BH: Working with Marcus has been amazing so far. I love his ambition and the determination he has. We will definitely work together on more projects in the future. You’ve always worked with Nike and was the fave of a popular hair line. What kinds of projects interest you? Is there a certain direction that you are looking to take your brand? BH: I’m interested in health and wellness products, products that can help improve my basketball skills, beauty products, clothing brands, hair extensions and hair products. I’m also doing a little modeling to build my brand and image. Is there anything else in the works that we should look forward to? BH: I’m going to continue to build my brand and get out into the community, starting with basketball camps throughout New York. Further down the line, I want to create a charity or non for profit. I would love to have a girls AAU team as well. I want to do something to inspire the youth and help have a positive impact on their lives.